All Force3 Diamond Chains contain patented SealPRO® anti-stretch technology which reduces wear and extends chain life by sealing out the abrasive slurry that leads to chain stretch. 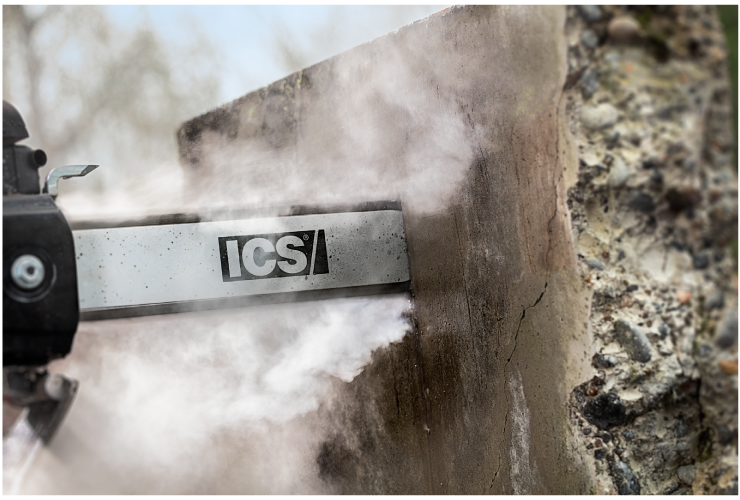 Designed to be used with the full line of ICS petrol power cutters, these chains offer the ultimate combination of both versatility and affordability. Available in three configurations to match your specific application and cutting challenges. Patented roof-top diamond segment improves break-in time. 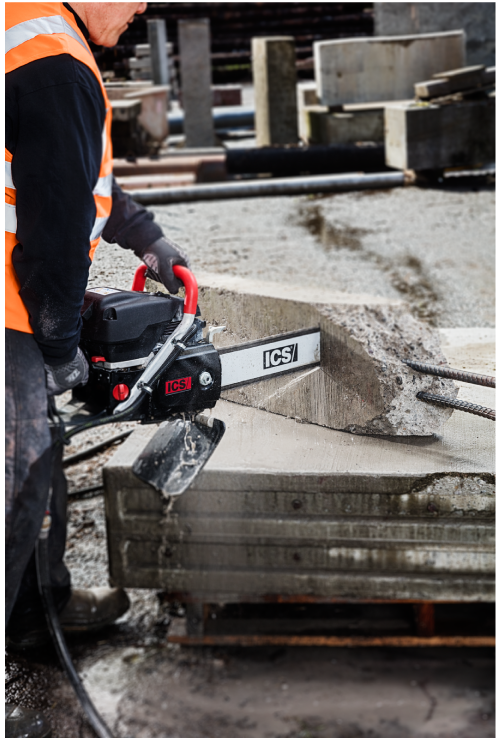 Works well in all materials including light rebar and is a fast- cutting, economical chain for everyday use. Optimized for abrasive materials, this chain has larger diamond segments for longer life. 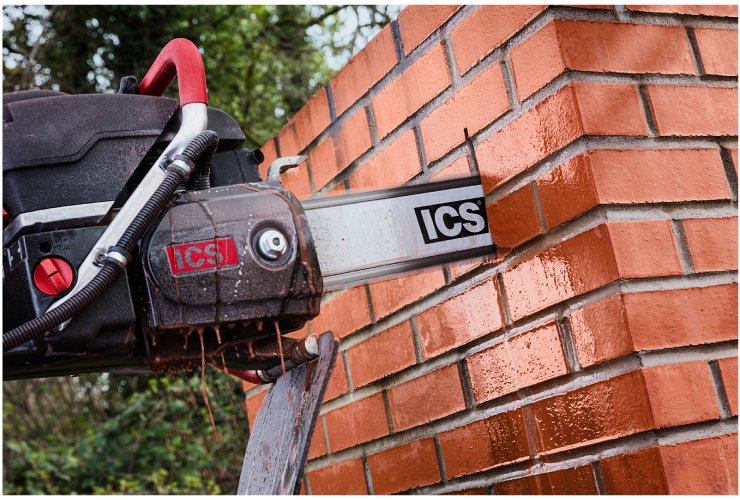 It is the best chain for cutting brick, block or abrasive stone. 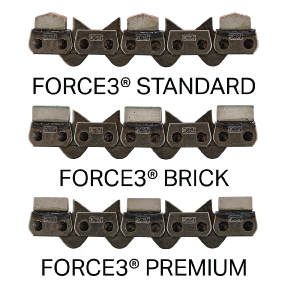 With the highest diamond concentration in the Force3 line, this chain is optimized for cutting harder materials, especially hard aggregate or heavily reinforced concrete.